Placing a triangular shape at the tip of the nail (as in a chevron French manicure) or in the moon (reverse-French) position as I have done takes a simple nail design like the French or moon manicure and makes it a bit more edgy. 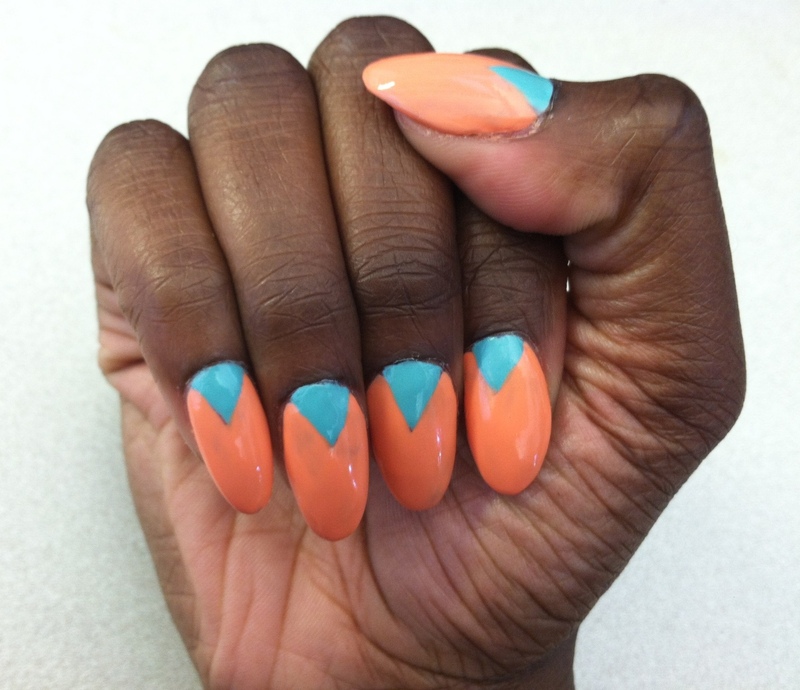 For my manicure, I use China Glaze For Audrey (Tiffany blue) and Peachy Keen (peach) for a muted spring look. If you’ve looked at other posts on my blog, you know that I love bold colors and patterns, but I decided to keep this one simple…but edgy. 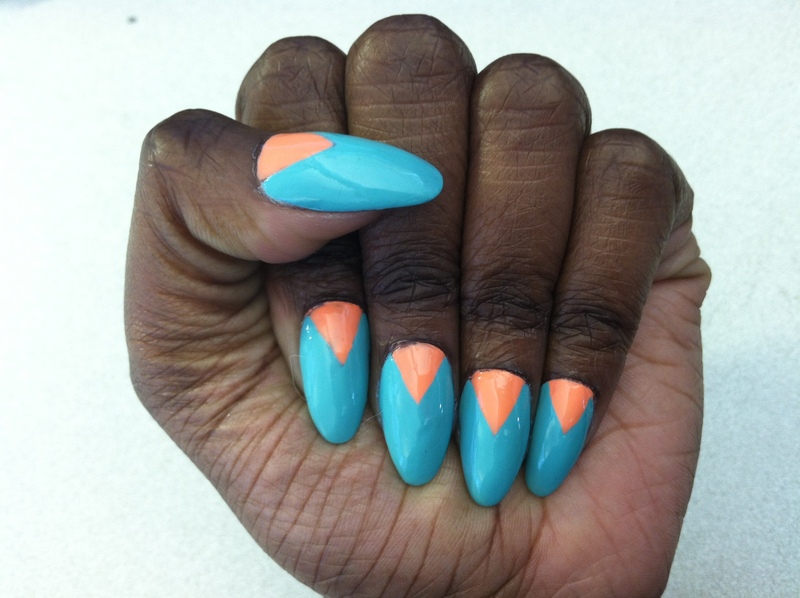 Posted on March 20, 2012, in Inspired by..., Trend Watch and tagged chevron manicure, China Glaze, moon manicure, rihanna, Rihanna You Da One nails, spring manicure, You Da One. Bookmark the permalink. 1 Comment. Love the colour combinations of the first one.